Had lunch with my Mum today, and she showed me her recently compiled album of vintage postcards, all of which were from the Isle of Man. 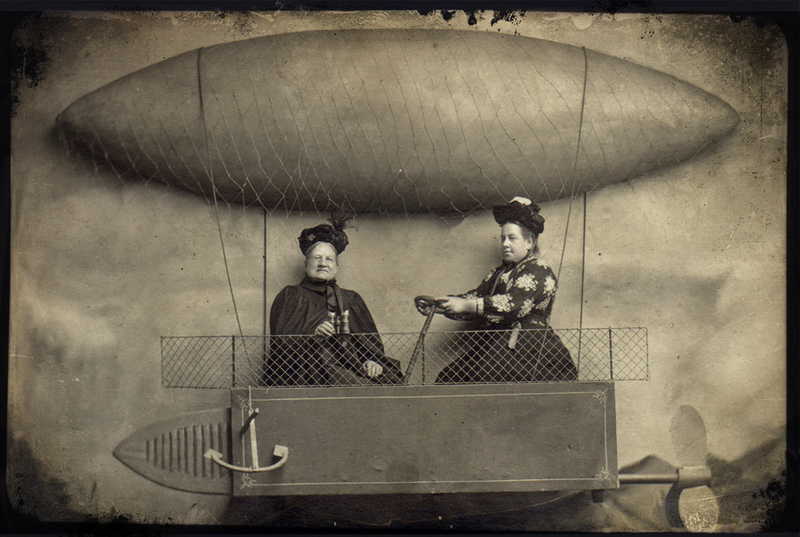 Imagine my surprise and delight when I came across the one below, of two Victorian ladies posing in a resigned but not altogether grumpy fashion in a fabulous propellered balloon prop in the photographers studio! It immediately reminded me of the piece by Phlegm that I photographed in Sheffield last month, and whilst both images are far from identical there is undoubtedly a unifying factor at work here. Have added more contrast to Phelgm piece, as the light was shining in the centre of the image thus making it too bright and losing some detail, and have added a bit of texture and a frame to the balloon ladies to make it more ‘my own’. 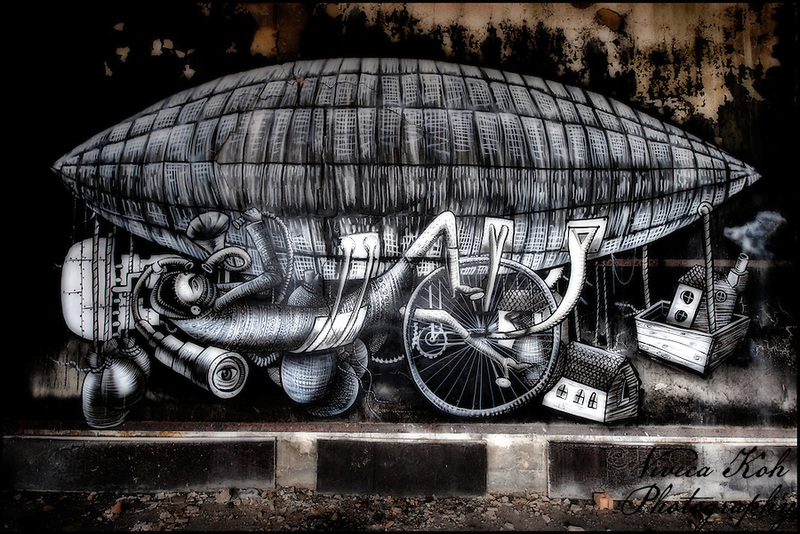 I give you the “Balloons Ancient and Modern” …. This entry was posted on Thursday, August 11th, 2011 at 22:15. It is filed under Photography, Street Art and tagged with abandoned, Artist, graffiti, photograph, Photography, Street Art, texture, Textures, UE, Urban Exploration. You can follow any responses to this entry through the RSS 2.0 feed. I very much like the added contrast to the image and think it’s a cool comparison of the two images! Fun stuff! That’s GREAT – the two ladies look like they’re thoroughly thrilled at the prospect of their exploring!